Arrowhead Fly Angler: Can't touch this....Clouser time! I have some new recruits to add to the arsenal I already lost this year. The Gamakatsu B10S stinger hooks are sticky sharp! A fish just needs to breathe on the fly and they are hooked :) I'm trying a few different experimental colors and tying just a bit sparser this year. 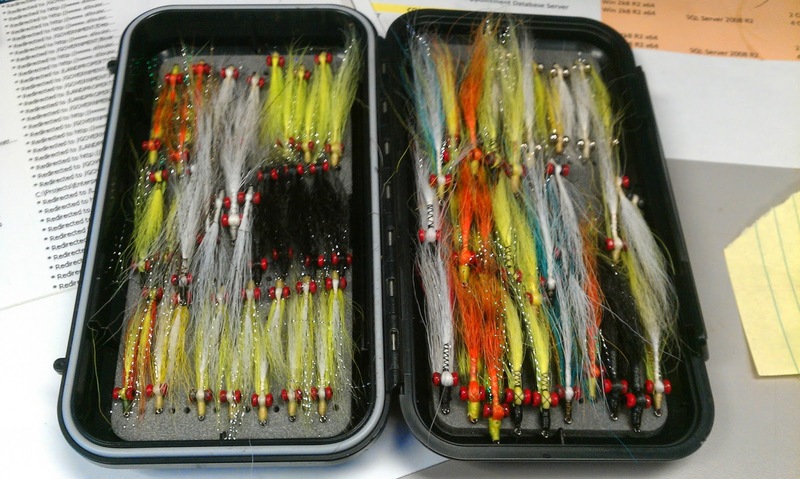 The secret Chequamegon Bay color is somewhere in there ;) As I wrote this, I wondered who takes pictures of the flies they tied.......Hope everyone it out enjoying the weather and wetting a line! The free codes market is here https://freecodesmarket.com to get the amazing discount offes on every purchase online for free.